5:00 p.m. - 2 a.m.
Curating restaurants seem to be all the rage now. From the interiors down to the branding, dining establishments are making sure every single detail is made to perfection. But very few actually extend this meticulousness to their menu. One of them is Tiyo. This new dining and drinking place in Tomas Morato has got it all figured out: a clear visual identity designed by the Pasig-based agency Serious Studio, a 300-sqm. 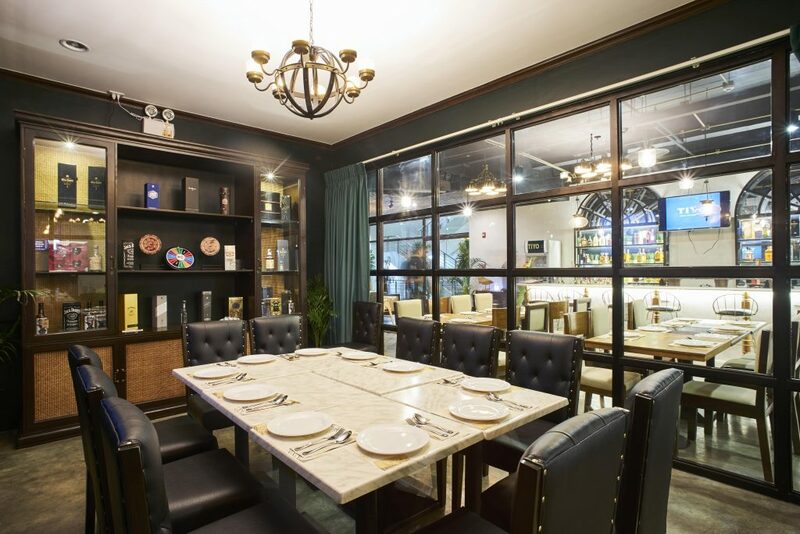 area decked with custom furniture made in Pampanga, and an extensive modern Filipino menu to match. The man behind the concept, Mark Tating is no stranger to the restaurant scene having put up the Kapitolyo brunch place Cow and Chicken previously. The setup also plays to that logic of eliciting a domestic feel—if not one that is anchored on the masculine perspective of home. Tiyo has a whiskey room inspired by the traditional dining room set up with the kabisera seat at the center. 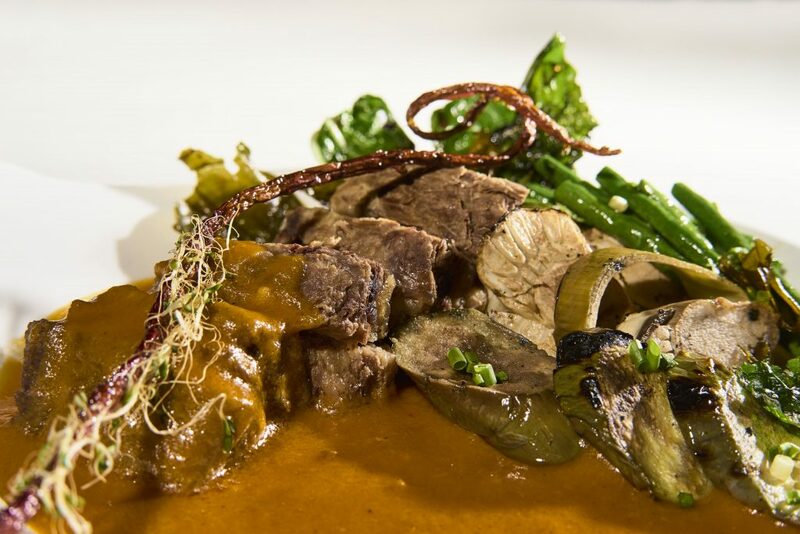 Tiyo’s Corned Beef Kare Kare features corned beef smothered in their special peanut sauce and served with guinamos, an Ilonggo bagoong. Despite being marketed towards elderly men—an obvious fact given that its name literally translates to “uncle”—their offerings of Filipino classic is for everyone. The plates are large enough to share, with flavors that anyone can instantly relate to despite the out-of-the-box presentation. Noting a flatness in the usual plating of kinilaw, Tating decided to incorporate some eye-catching elements with flavors still consistent with the original recipe. 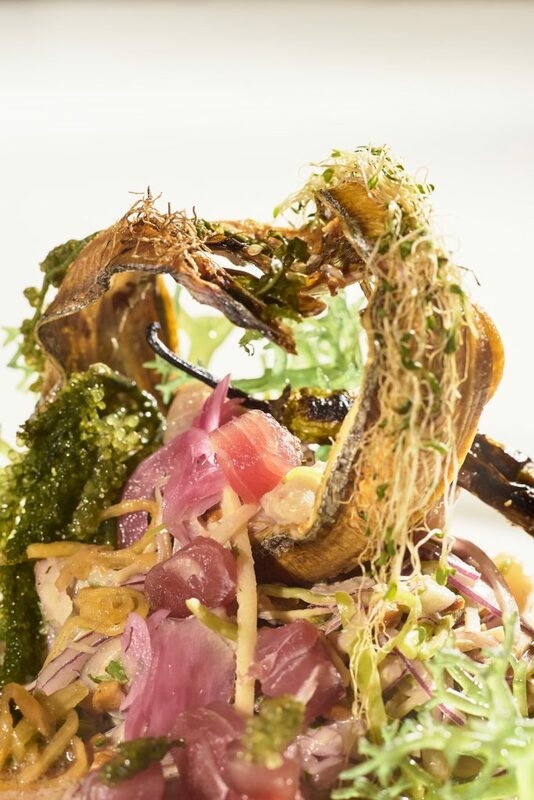 These include dried espada fish arched over a mix of raw tuna, malasugi (swordfish), and talakitok (jack mackerel) cured with vinegar, and fresh latô on the side. 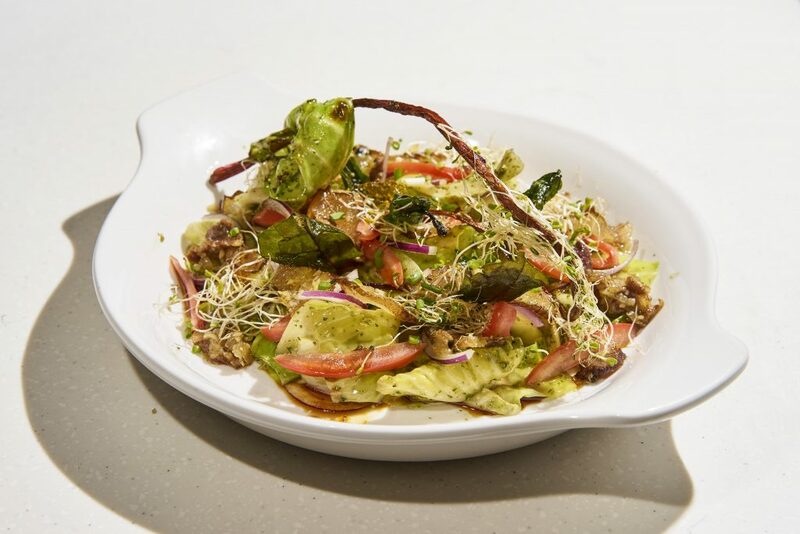 Meanwhile, Tiyo’s take on the vegetable dish pinakbet pays homage to Tating’s northern upbringing, while still remaining inventive. 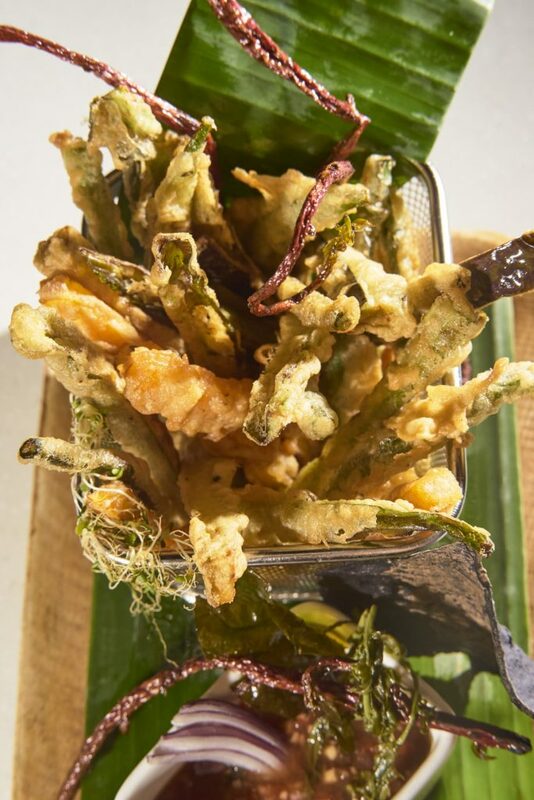 The talong, kalabasa, sitaw, okra, and sigarilyas sticks are battered and deep-fried ala tempura and served with a bagoong dipping sauce, and weirdly, a fried alugbati vine which seems to be ever-present as a decorative add-on to most dishes. Tiyo’s Craft Cocktails (from left to right): Streetside Special (coconut rum, pandan syrup, milk), Pedro’s Uprising (basi, lemongrass, brandy, mint), and Trip to Quiapo (basil, kamias juice, pomelo, coconut rum, dalandan liqueur). 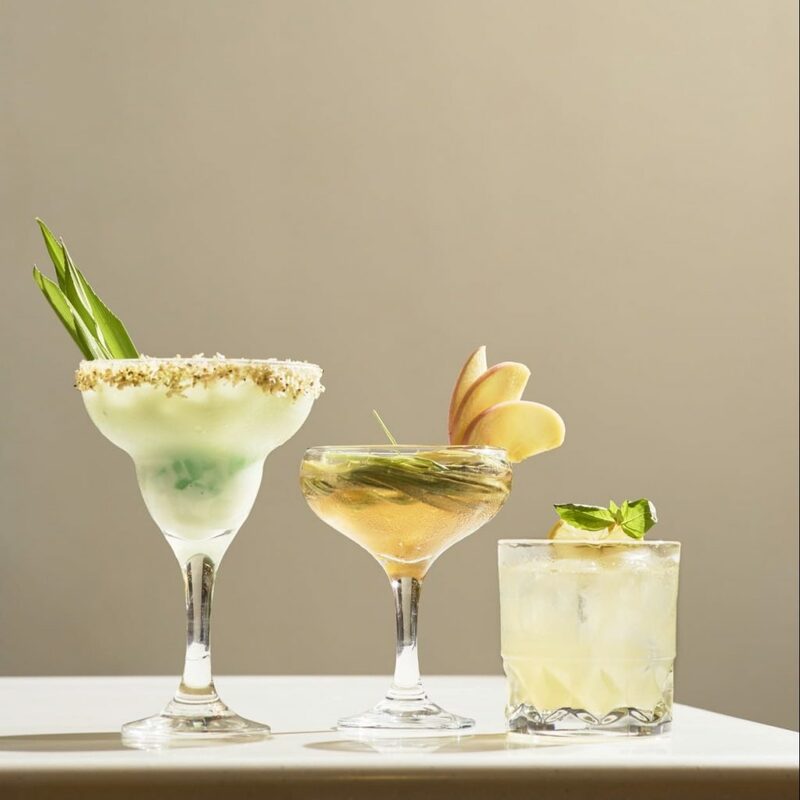 Some ingredients used in the bar come from the kitchen like the grated coconut used in the Streetside Special, one of their signature cocktails crafted with their own infusions. 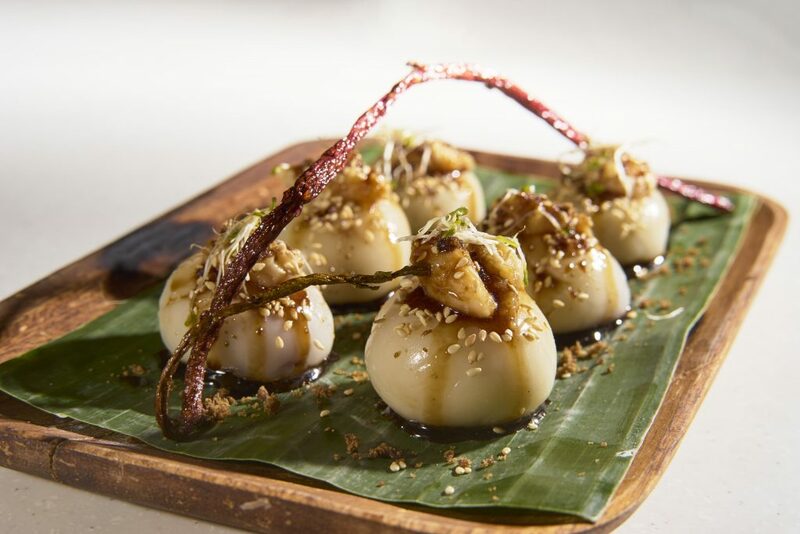 Tiyos’s take on the Filipino kakanin, palitaw, looks very similar to a mochi with the fillings inside. 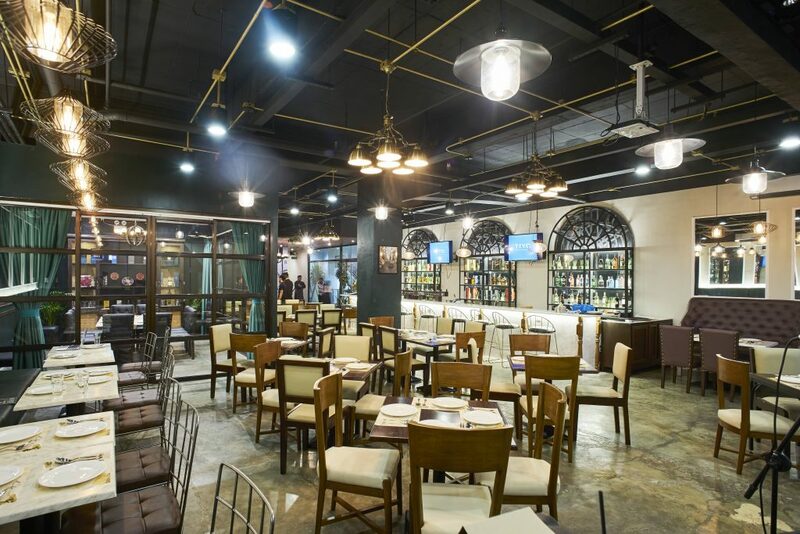 Situated on one side of the restaurant, the bar exudes a relaxed and casual vibe with mirrors, a bottle display imitating the art deco windows of Escolta buildings, and LED televisions to tie up their tito-centric interiors. Not yet on the menu: Etag salad, a chopsuey-like vegetable dish with smoked meat bits from Sagada.